Back in 2016, Hello Games’ No Man’s Sky released to a disappointing reception. Critics and players alike felt the game was not the pastel-coloured paradise advertised and many features shown in trailers appeared to be missing. However, nearly two years later, one modder is aiming to overhaul the classic sci-fi adventure and turn it into the game players were promised. Get more deep intergalactic exploration with the best space games on PC. Modder Rayrod created the No Man’s Sky mod Rayrod’s Overhaul, a “personal project” which enhances the game’s visuals, quality of life and gameplay using a mixture of E3 trailers, pre-release images and his own imagination as concept art. The mod includes an ecology and terrain overhaul, as well as over 2,000 different handcrafted procedural biomes, more intense and dynamic “E3 style” weather and expanded colour palettes. 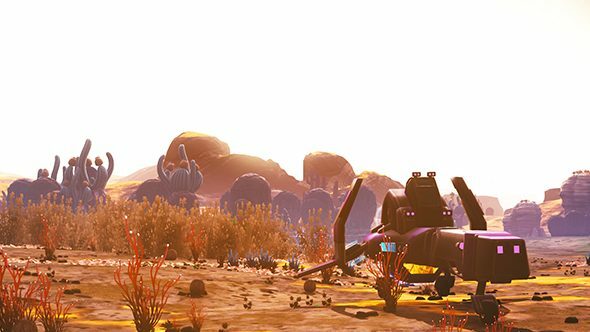 Rarod’s mod is still in beta mode but you can check out the full mod specs, and follow its progress, on the No Man’s Sky Nexus.